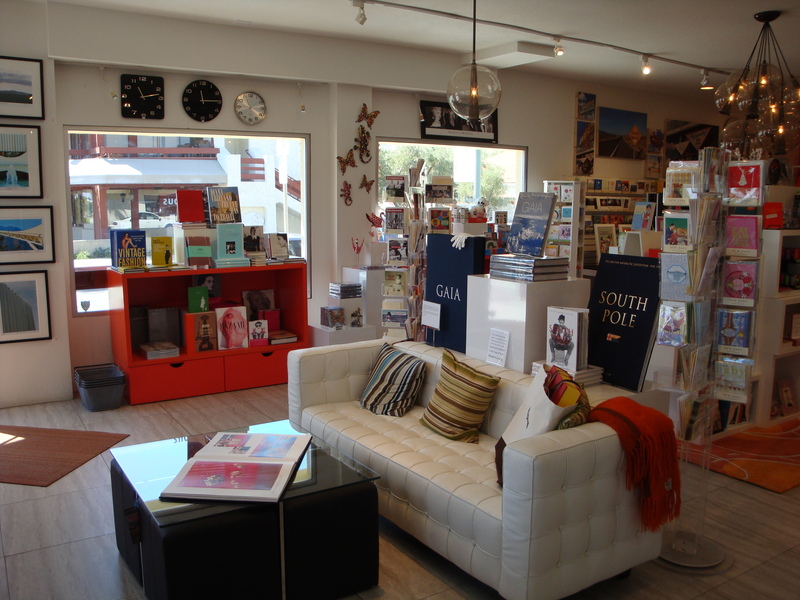 If you want to experience a unique boutique and book store, this Palm Springs destination is the place. Books on architecture, art, Palm Springs modernism, photography, travel, fashion, design, culture, lifestyle, and more are waiting for you. As are books about Palm Springs and books about or by Hollywood celebrities. It’s a place to find cards, gifts, music, and art. It’s a place you want to linger and browse and find the perfect book or the perfect gift. Welcome to Just Fabulous … A Lifestyle Gift Boutique and Book Store. A few months ago I mentioned my quest to search out our local independent book stores. I’m partial to those establishments which have their own identities and offer a person a singular experience. Just Fabulous does just that. 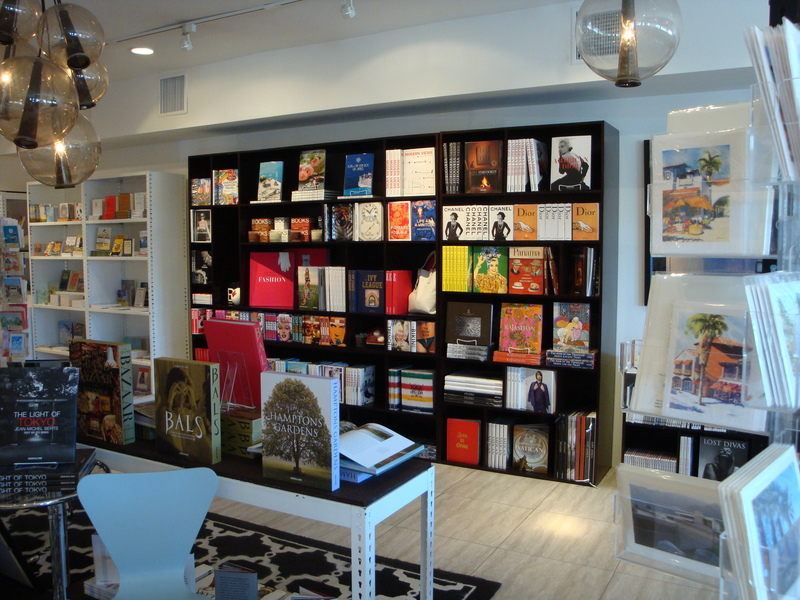 The book collection here features offerings from top-of-the-line publishers such as Assouline, Taschen, and Rizzoli. In addition to their informative content, these books are magnificently photographed and esthetically pleasing. They are the kind you want to hold, feel, and escape into … the kind that will inspire and delight you. The kind you will keep for a lifetime. They beg to bask on a coffee table, be enjoyed over time, and revisited; or read in the comfort of your favorite easy chair. Just Fabulous is one of a few select locations across the country carrying these quality books from Assouline. Negotiations are also underway to carry the books of The Museum of Modern Art (MoMA). I had the pleasure of chatting with owner Stephen Monkarsh in late September. I asked him about the concept behind Just Fabulous. He told me he wanted to create a place where people come together, where they can celebrate life, where they can enjoy books, art, culture, music. He wanted to create a destination, a way of life. A state of mind. 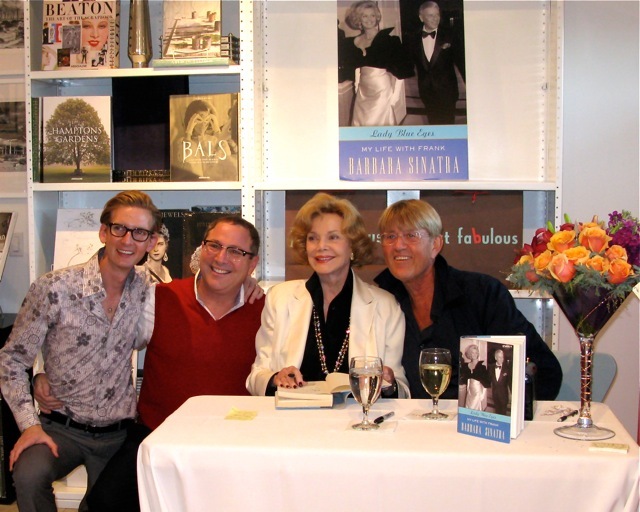 When I asked Stephen to cite one of the outstanding moments in the story of Just Fabulous, he replied, “Cheryl Crane, Lana Turner’s daughter, came to me to launch her book LANA: The Memories, The Myths, The Movies. I was honored.” The book signing and reception were a success. People lined up down the street. Over 200 books were sold. I must admit when I walk into Just Fabulous I’m immediately delighted by the surroundings, the choices, the colors, the textures, the candle aromas, the music, the art, the friendly staff, and …THE BOOKS! Just Fabulous also is a presence in the larger community. Last year it was the headquarters for Modernism Week. 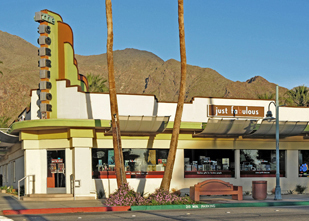 It is the official bookseller for the Palm Springs Modernism Show held yearly at the Palm Springs Convention Center. 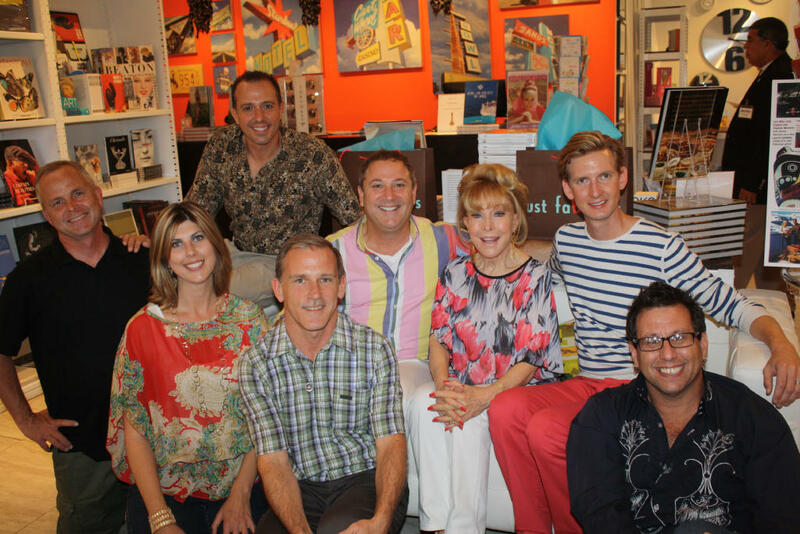 Book signings and receptions are part of the excitement at Just Fabulous. And this season is no different. On November 24, 2012, John Barrowman, star of BBC TV’s Dr. Who and Torchwood, will be signing his new children’s novel Hollow Earth and his memoirs Anything Goes and I Am What I Am. On December 8, 2012, will be world renowned photographer Michael Childers, signing his book Icons & Legends: The Photography of Michael Childers. And on December 15, author and historian William J. Mann will sign Hello Gorgeous: Becoming Barbra Streisand. Arrangements are being completed with Tab Hunter for a signing in November. Thank you, Stephen, for a terrific interview. And for … Just Fabulous. This entry was posted in Authors, Books, Where is the Book Store? and tagged Anne Rice, arts, Assouline, Barbara Eden, book stores, Cheryl Crane, culture, John Barrowman, Just fabulous Lifestyle Gift Boutique and Book Store, Life Style, Michael Childers, Modernism Week, MoMA, Palm Springs, Rizzoli Publishers, Stefanie Powers, style, Tab Hunter, Taschen, Where is the Book Store?, William J. Mann. Bookmark the permalink. Great store. They definitely created ambient conducive to reading and artistic pursuit. Hi Jim – Yes, a terrific concept and place. Thanks for stopping by! Thank you so much for the lovely article and review. You certainly have summed up the purpose behind my store and our desire to be a special and unique part of the community of Palm Springs. Thank you again. What a find. This is fantastic! I can’t wait to check it out. Thanks, Carol. I’m going to share this on FB and Twitter now. Hi Lynne – It’s a great place to lose yourself – in books and atmosphere. You’ll enjoy! And thanks for the FB & Twitter share! !